In November 1958, Maurice Duggan (1922-1974) applied for the inaugural Burns Fellowship, but by the end of the year he learnt that it had been awarded to Ian Cross. 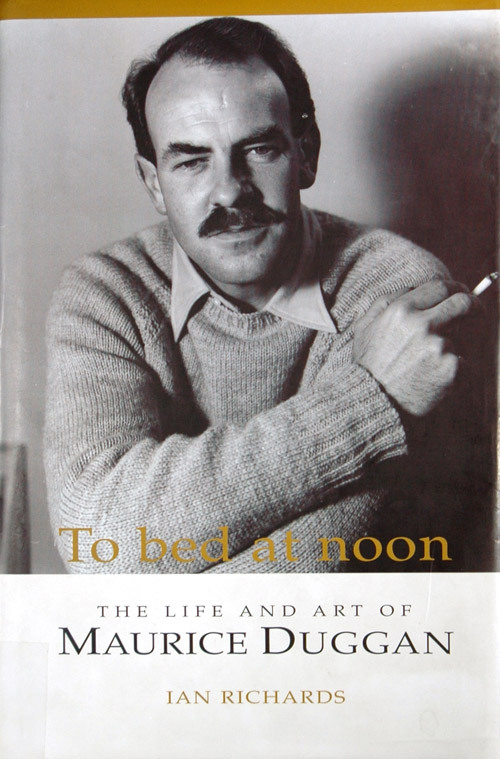 Buoyed by the fact that his Falter Tom and the Water Boy had received the Esther Glen Award, and that he had also won the inaugural Katherine Mansfield Memorial Short Story Award, he applied again. He was successful, and flew into Dunedin on the anniversary of Robert Burns's birthday, 25 January 1960. 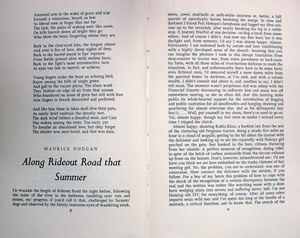 It was a productive year, one that Duggan consider his best writing year: "The conditions were wonderful; and it seemed the most natural thing in the world to sit in a room and write. It was a good climate for working. I wrote 'Blues for Miss Laverty', 'Riley's Handbook', a short novel which I am at present revising, and the first draft of 'Along Rideout Road that Summer'". 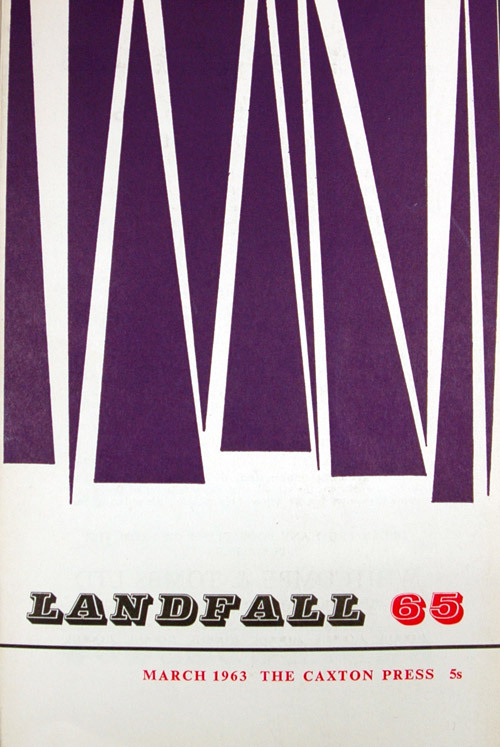 Eric Lee-Johnson's photograph of Duggan peers down over the final version of 'Along Rideout Road', printed in Landfall, March 1963. Ian Richards, To Bed at Noon. The Life and Art of Maurice Duggan. Auckland: Auckland University Press, 1997. 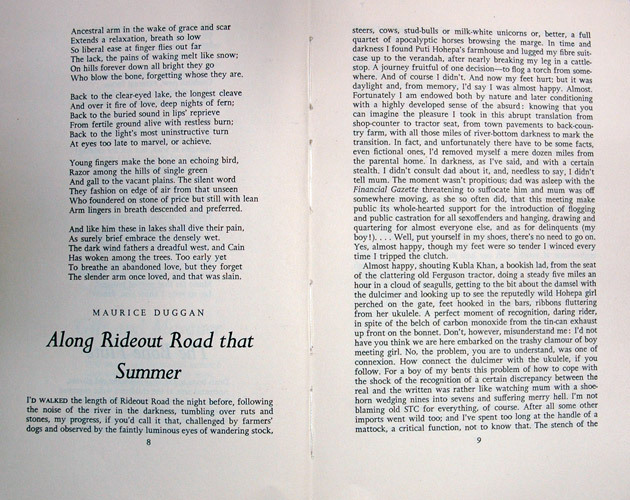 General PR 9641 D85 Z5 RG63; Maurice Duggan, 'Along Rideout Road that Summer', Landfall, vol. 17, no. 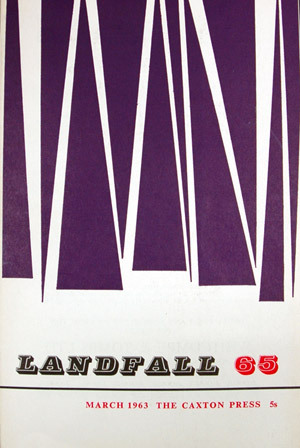 1 (March 1963), pp. 8-24. Brasch Collection.